In the wake of the "Arab Spring" and NATO interventions, both official and secret, Qatar seeks to impose Islamist leaders wherever possible. This strategy has led it not only to fund the Muslim Brotherhood and to hand Al-Jazeera over to them, but also to support Al Qaeda mercenaries, who will henceforth oversee the Free Syrian Army. However, this new scenario raises serious concerns in Israel and among the supporters of the "clash of civilizations." 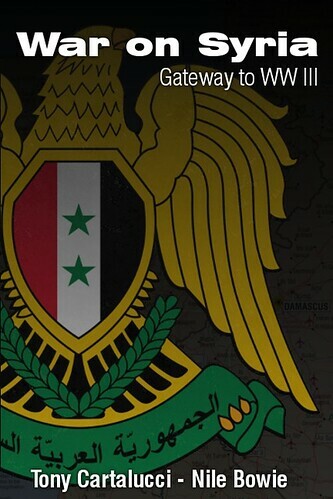 The UN Security Council members are at loggerheads over the interpretation of the events that are rocking Syria. On one hand, France, the United Kingdom and the United States claim that a revolution has swept the country, in the aftermath of the "Arab Spring", and suffering a bloody crackdown. On the other hand, Russia’s and China’s take is that Syria is having to cope with armed gangs from abroad, which it is fighting awkwardly thereby causing collateral victims among the civilian population it seeks to protect. The on-the-spot investigation undertaken by Voltaire Network validated the latter interpretation . We have collected eyewitness testimonies from those who survived an armed attack by a foreign gangs. They describe them as being Iraqis, Jordanians or Libyans, recognizable by their accent, as well as Pashtun. In recent months, a certain number of Arab newspapers, favorable to the Al-Assad administration, discussed the infiltration into Syria of 600 to 1,500 fighters from the Islamic Fighting Group in Libya (IFGL), rebranded Al Qaeda in Libya since November 2007. In late November 2011, the Libyan press reported the attempt by the Zintan militia to detain Abdel Hakim Belhaj, companion of Osama Bin Laden  and historic leader of Al Qaeda in Libya, who became military governor of Tripoli by the grace of NATO . The scene took place at Tripoli airport, as he was leaving for Turkey. Finally, Turkish newspapers mentioned Mr. Belhaj’s presence at the Turkish-Syrian. Such reports have been met with disbelief on the part of all those who regard Al Qaeda and NATO are irreconcilable enemies between whom no cooperation is possible. Instead, they reinforce the thesis which I have defended since the attacks of September 11, 2001, that Al Qaeda fighters are mercenaries of the service of the CIA . For the past week, the Spanish royalist newspaper ABC has published a daily report by photographer Daniel Iriarte. This journalist is with the Free Syrian Army (FSA) in the north of the country, right on the Turkish border. Iriarte champions the cause of the "revolution" and can never find words harsh enough against "Al-Assad regime." The Free Syrian Army is made up of more than 20 00 people, according to its political chief Colonel Riyadh al-Asaad, but of only a few hundred when listening to the Syrian authorities . However, in the Saturday edition dated 17 December 2011, Daniel Iriarte describes an encounter that shocked him. While his FSA friends were taking him to a new hideout, he came across some foreign insurgents: three Libyans . 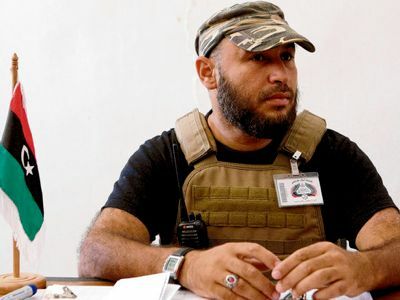 Mahdi al-Harati, commander of the Tripoli Brigade, resigned from his functions as deputy chief of the Military Council in Tripoli to oversee the Free Syrian Army. The first one among them was al-Mahdi Hatari, a Libyan who lived in Ireland before joining Al Qaeda. At the end of the Libyan war, he was named commander of the Tripoli Brigade, then number 2 of the Tripoli Military Council headed by Abdel Hakim Belhaj. He resigned from this function, according to some because of a dispute with the Transitional National Council, according to others because he wanted to go back to Ireland to join his Irish wife  The truth is that he headed for Syria. Even stranger: a member of Al Qaeda was among the pro-Palestinian activists, in June of last year, on board the Turkish ship Mavi Marmara. Numerous secret service agents, especially US, had infiltrated the "Freedom Flotilla" . He was wounded and held prisoner for nine days in Israel. Finally, during the Battle of Tripoli, al-Mahdi Harati commanded the Al Qaeda group that besieged and attacked the Rixos hotel, where I was staying with my Voltaire Network companions and the international press, and whose basement served as a shelter for the leaders of the Jamahiriya under the protection of the custody of Khamis Gaddafi . According to the latter, Mahdi al-Harati was being briefed by the French officers on the ground. The second Libyan that the Spanish photographer in the Syrian army is none other than Kikli Adem, a lieutenant of Abdel Hakim Belhaj. As for the third Libyan, nicknamed Fouad, Daniel Iriarte was not in a position to identify him. Iriarte’s testimony dovetails with what the Arab anti-Syrian press has been claiming for weeks: the Free Syrian Army is overseen by at least 600 "volunteers" from Al Qaeda in Libya . The entire operation is run by Abdel Hakim Belhaj in person with the help of the Erdogan government. How can it be explained that a daily newspaper as anti-Assad as ABC has decided to publish the testimony of its special envoy, who sheds light on the nauseating methods employed by NATO and confirms the Syrian government’s thesis of armed destabilization? The fact is that for a week, certain advocates of the clash of civilizations have been riling against a set-up which includes Islamic extremists in a "free world" strategy. Writing on CNBC Guest Blog , former Spanish Prime Minister Jose Maria Aznar revealed on 9 December 2011 that Abdel Hakim Belhaj was suspected of complicity in the attacks of 11 March 2004 in Madrid , an event that put an end to Aznar’s political career. 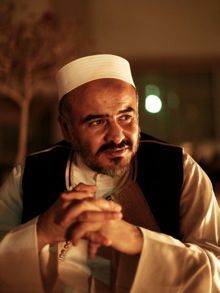 Sheik Ali Salabi, spiritual guide of Al Qaeda in Lybia, Abdel Hakim Belhaj’s mentor, and strong man of the "new Libya." Mr. Aznar’s outing goes hand in hand with the intervention made by his friends from the Jerusalem Center for Public Affairs, the think tank headed by former Israeli ambassador to the UN Dore Gold . They publicly voice their doubts about the validity of the current CIA strategy to place Islamists in power throughout North Africa. Their criticism is aimed against the secret society of the Muslim Brotherhood, but also against two Libyan figures: Abel Hakim Belhadj and his friend Sheikh Ali Al-Salibi. The latter is regarded as the new leader of Libya . The two men are deemed to be the pawns of Qatar in the new Libya . It was also Sheikh Salabi who distributed $ 2 billion of Qatari funds to help Al-Qaeda in Libya . Thus the contradiction that was desperately kept hidden for the past decade returns to the surface: the mercenaries, formerly paid by Osama Bin Laden, have never stopped working in the service of US strategic interests since the first war in Afghanistan, including the period of the September 11 attacks. Yet they are portrayed ​​by Western leaders as implacable enemies. It is likely that the objections of Mr. Aznar and the Jerusalem Center for Public Affairs will be overridden by NATO, as were those raised by AFRICOM commander General Carter Ham. At the beginning of the war Libya, he was incensed at having to protect jihadists who had gone to slaughter GIs in Iraq. Detached from reality, the UN Counter-Terrorism Committee (aka "Committee pursuant to resolution 1267") and the US Department of State still have on their black list the organization of Abdel Hakim Belhaj and Sheik Salabi under its former label of Islamic Fighting Group in Libya. It would appear that is it the duty of every State to arrest these individuals if they enter their territory. “Lies and truths about Syria”, by Thierry Meyssan, Voltaire Network, 28 November 2011. "Libya’s Powerful Islamist Leader," by Babak Dehghanpisheh, The Daily Beast, 2 September 2011. “How Al Qaeda men came to power in Libya”, by Thierry Meyssan, Voltaire Network, 7 September 2011. 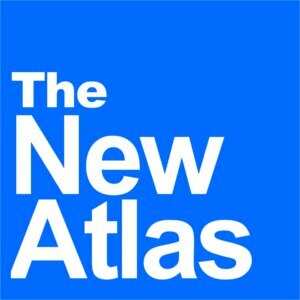 "Once NATO enemies in Iraq and Afghanistan, now NATO allies in Libya," by Webster G. Tarpley, Voltaire Network, 24 May 2011. "Syria’s opposition, rebels hold talks in Turkey," by Safak Timur, AFP, 1 December 2011. "Islamistas libios se desplazan a Siria para "ayudar" a la revolución," by Daniel Iriarte, ABC (Spain), 17 December 2011. "Libyan-Irish commander resigns as deputy head of Tripoli military council," by Mary Fitzgerald, The Irish Times, 11 October 2011. “Freedom Flotilla: The detail that escaped Netanyahu”, by Thierry Meyssan, Voltaire Network, 8 June 2010. “Thierry Meyssan and Mahdi Darius Nazemroaya under death threat in Tripoli”, Voltaire Network, 22 August 2011. "Libyan fighters join "free Syrian army" forces," Al Bawaba, 29 November 2011. "Spain’s Former Prime Minister Jose Maria Aznar on the Arab Awakening and How the West Should React," CNBC.com., 9 December 2011. “March 11, 2004 in Madrid: Was it really an Islamist attack?”, by Mathieu Miquel, Voltaire Network, 28 November 2009. "Diplomacy after the Arab uprisings," by Dore Gold, The Jerusalem Post, 15 December 2011. "Meet the likely architect of the new Libya," by Marc Fisher, The Washington Post, 9 December 2011. "Libyans wary over support from Qatar," by John Thorne, The National (United Arab Emirates), 13 December 2011.